Being hot and cold is viewed in a negative manner—but that’s not always the case. In fact, being able to operate a home comfort system that has the ability to deliver both hot and cold air is a convenient and cost-efficient way to stay cozy all year long. At Krinkie’s Heating, Air Conditioning and Plumbing, we look for the most proficient way to keep your home warm—without firing up costs in your budget. That’s why we offer heat pump services. This system is the versatile and affordable way to both heat and cool your Minnesota home. The secret to how heat pump systems generate both hot and cold air is this: they don’t. That’s right. Instead of generating energy, these systems rely on transferring heat. You see, they extract heat from the outside air and transfer it into and out of your home, all depending on whether you’re looking to heat your home up or cool it down. This leads to less energy being needed to heat or cool your home and allows you to keep your home comfort at an all-time high—and your electricity bills at an all-time low. Stop settling for cold comfort with your outdated heat pump. Instead, strive for the warm and cozy contentment you deserve by switching or replacing your current system. A more budget-friendly way to keep your home cozy is waiting. All you have to do is make the call. From a minor hiccup to a major malfunction, a problem with your heat pump is a problem with your home comfort—and your budget. It needs to be addressed right away. You see, the longer your system operates inefficiently, the more likely it is that the current problem will escalate into a costly catastrophe or that new problems will develop. So whether your system is making strange noises or it’s failing to reach its pre-set temperature, you can count on Krinkie’s team to make your heat pump repair need our priority. Our professionals will arrive promptly and repair your heat pump quickly, yet correctly, to leave you with a system that works like new. Keep in mind that repairing a problem with your system doesn’t prevent glitches—or worse—from occurring. That’s why Krinkie’s team offers maintenance services. During our system check-ups and seasonal inspections, our certified technicians will perform an extensive evaluation of your system to inspect, clean, repair and replace any inadequate parts. This will increase your heat pump’s efficiency, extend its lifespan and keep your unit working at peak performance—all year long. 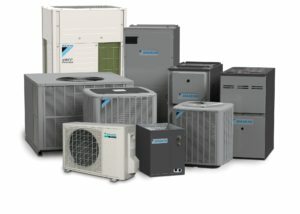 Heat pumps are a hot item in the HVAC world. That’s because they give homeowners the dependable system operation they crave and the affordability their budget needs. So for Krinkie’s team, adding these versatile systems to our fleet of services was a no-brainer. From a heat pump installation to a heat pump repair, you can count on us to provide flawless heat pump services every time. It’s time to attain year-round comfort while saving cold, hard cash. To see whether a heat pump system is the right home comfort solution for your home, fill out our online form or call us at 651.488.5555 today!